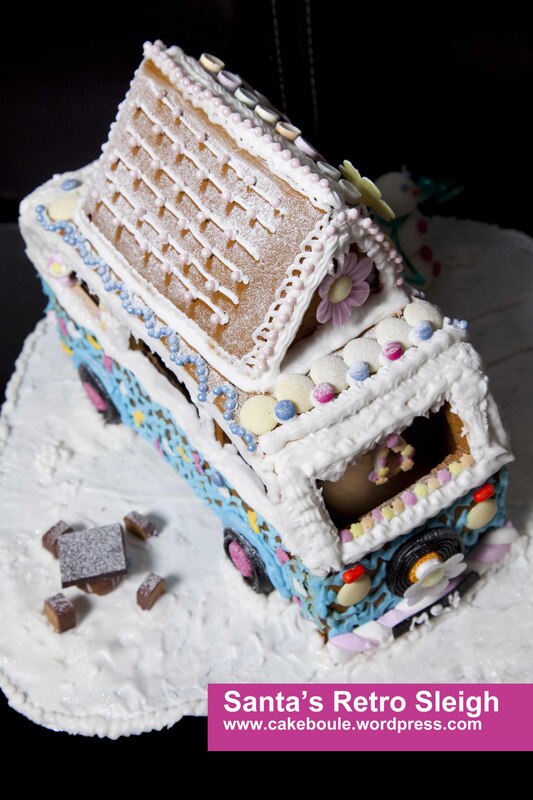 Send the VW Gingerbread Campervan on a virtual journey around the World – how far will she go? Comment and let us know where she has visited. 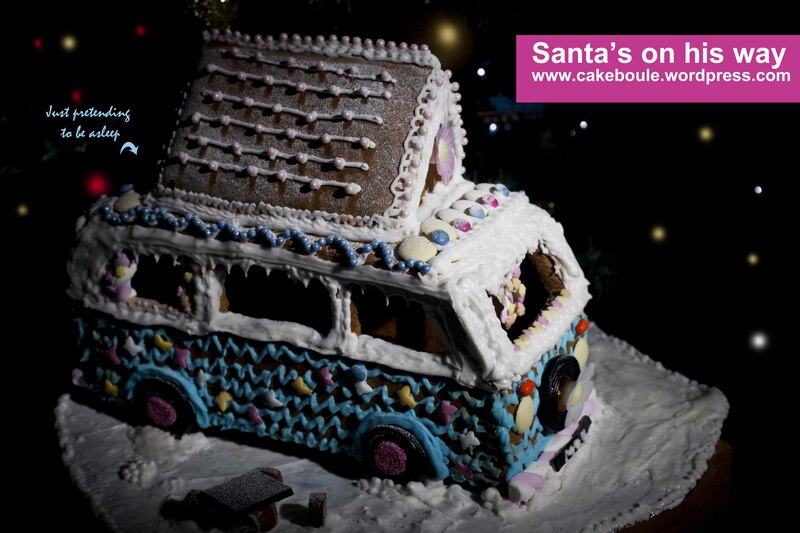 So without further ado – here is our gingerbread VW Campervan (the gingerbread house on the move). 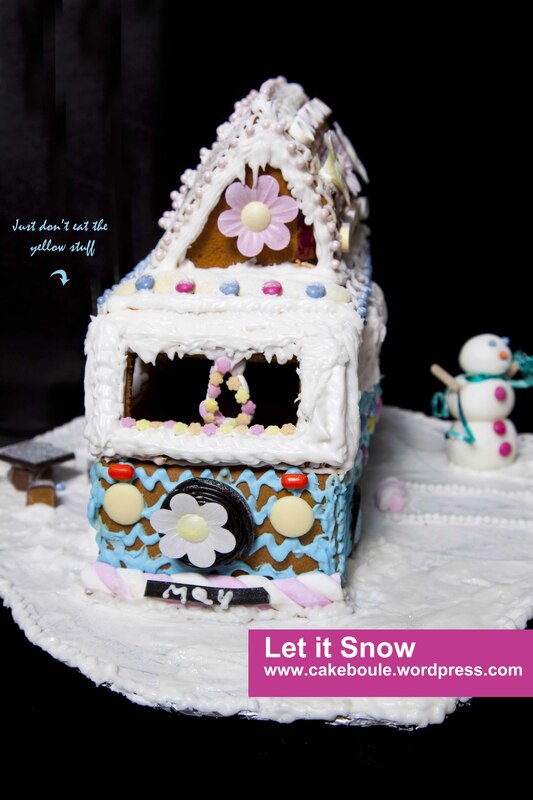 It took approx 2 full days to bake and build but we love it so that makes it all worth while. 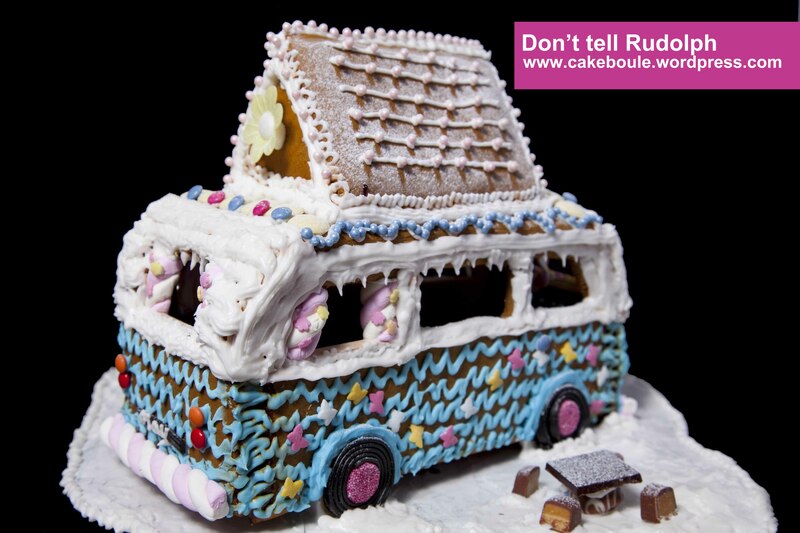 I plan to have a gingerbread trashing session in the New Year despite protests from the rest of the family but I am sorry it has to be done (and the video will be posted) as by then the real VW Camper will want her revenge brrrmm brrrmmm brmmmmm! 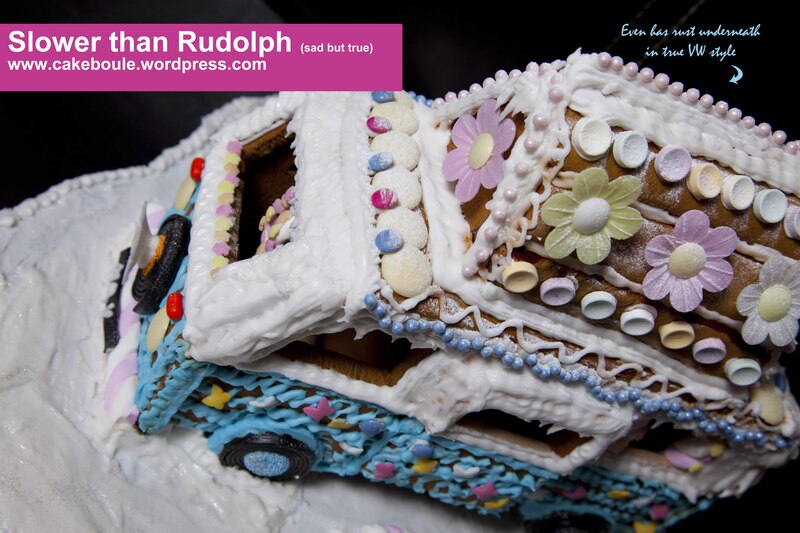 I hope you enjoyed our little VW inspired gingerbread house and I wonder how far she will travel on her virtual journey? Do comment and tell us where she is visiting. With special thanks to all these wonderful bloggers who kept me going though my gingerbread building experience with their encouraging and hilarious messages on Twitter. These wonderful people are all avid bakers and you should check out their blogs as they are a very inspiring and supportive bunch who make me laugh. In the words of Twitottee “We are stronger together”. News Flash : Santa’s stand up (naughty) meringue snowmen have been banished to the furthest workshop. 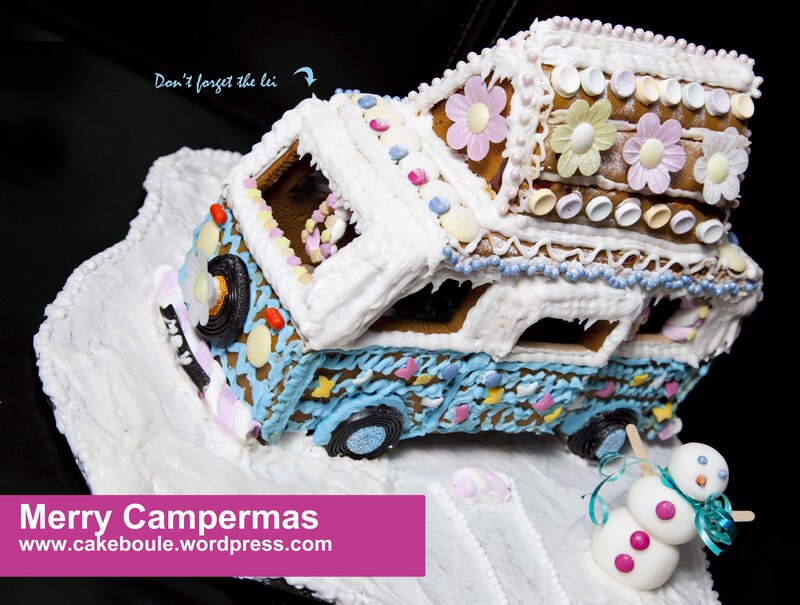 This entry was posted in Biscuits, Inspiration, Randoms and tagged Campervan, Gingerbread, Gingerbread Campervan, gingerbread house, Gingerbread VW, VW Camper Cookie, VW Campervan by Jacqueline Jay. Bookmark the permalink. That is fantastic, I love all the little details you’ve added. You must have had a lot of fun making it. Why thank you Laura – she was great fun to make! Wising you and your family a very happy Christmas and best wishes for the new year. PS I’m afraid the van has not travelled far to me in London but I hope it gets round the world. Bless you – you are such a star! Merry Christmas to you too x I hope she gets far around the World – that would be so cool! Will she make it across the big pond? Seriously impressed, outrageous and fab-u-lous! Why thank you! What an earth will I do next year? 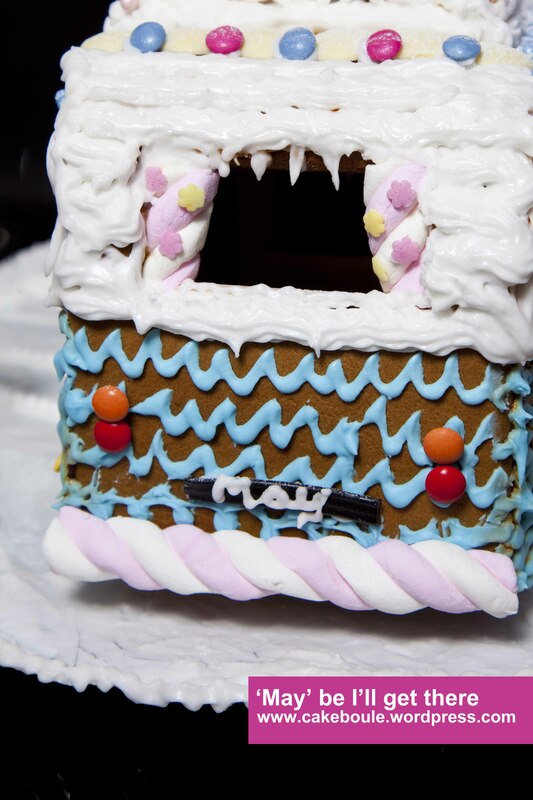 I guess I could do a where the hell is matt (on youtube) but with a gingerbread campervan I guess? Now there’s a thought! Why thank you – if only ours had got as far! Always next year! Love this blog post. It made me smile. Looks like a real achievement, and so original too. 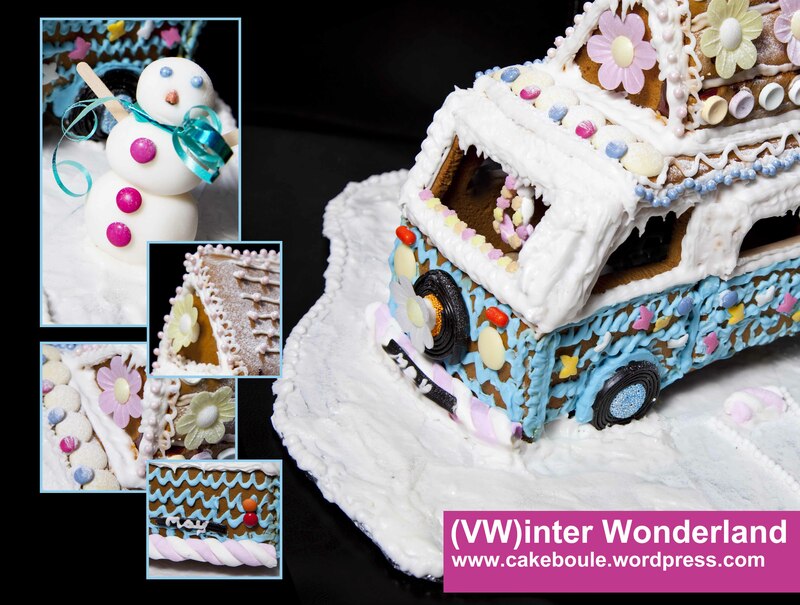 Glad you liked it – she was worth the effort even if she is leaking sugar over her clean snow – but then thats VW ‘s for you! Always a leak somehwere!